Host Roberto and his friend Margie went out of there way to make us welcome and show us sights of the Siena District. 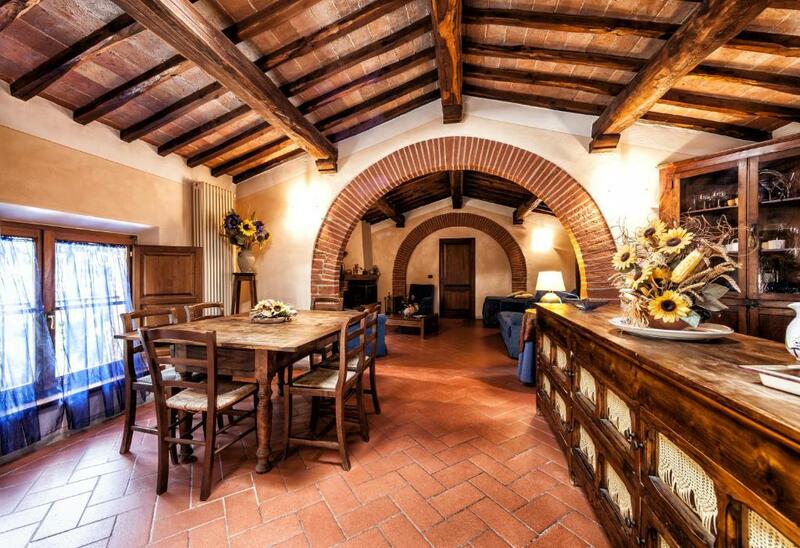 Roberto was a wonderful host and the property was a beautiful Tuscan apartment with a super patio and garden. We were well looked after and had a brilliant time. Besondere Unterkunft in wunderbarem Ambiente, sehr gute Lage und super freundlicher Besitzer. La villa di Roberto è bellissima, un'oasi verde nel centro di Sinalunga, per noi 5 ottima base per un weekend di relax alle Terme di Rapolano e visita delle crete senesi, meravigliose. L'appartamento è spazioso, dotato di tutti i comfort ed il trovarlo caldo in quei freddi giorni è stato un surplus! Roberto è stato super accogliente, disponibile e gentilissimo. Tutto perfetto!!! Lo consiglio assolutamente! Appartata, ordinata ed immersa nel verde. A pochi passi da un magnifico ristorante ed il tutto condito dalla simpatia del proprietario. De inrichting was in Toscaanse stijl en een tikje verouderd. Het was er schoon en in principe is alles aanwezig. De slaapkamer had airconditioning en in de woonkamer stond een slaapbank voor twee personen en een enkel bed. Er was een zeer ruime keuken waar het mogelijk is om uitgebreid te kunnen koken 9met oven en gasfornuis) maar wij zijn elke avond uit eten gegaan dus hebben er geen gebruik van gemaakt. Verder is er een heerlijk zwembad waar de kids zich kunnen vermaken. Sinallunga is een kleine plaats waar weinig toeristen komen dus het is er relatief rustig. De bewoners zijn zeer vriendelijk dus wij vonden het heerlijk. Die Gastfreundschaft und ein sehr schöner Pool und optimal mit Hund ! 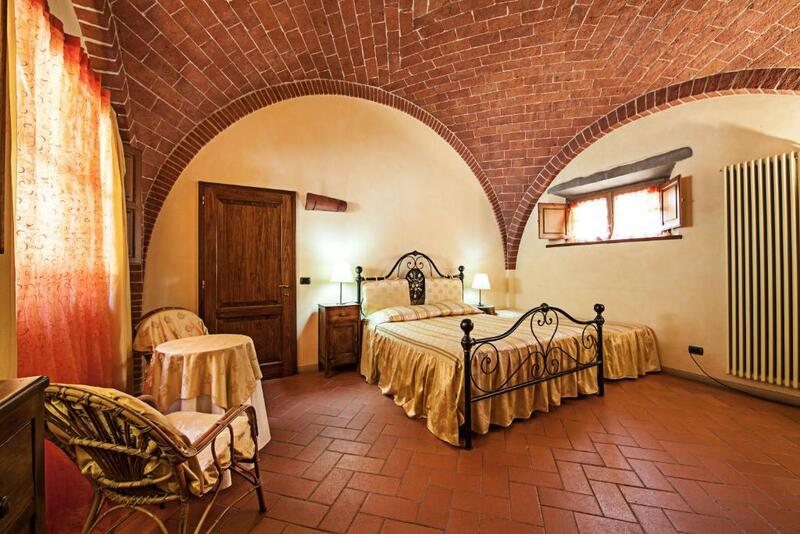 Lock in a great price for Fonte Del Castagno – rated 9 by recent guests! 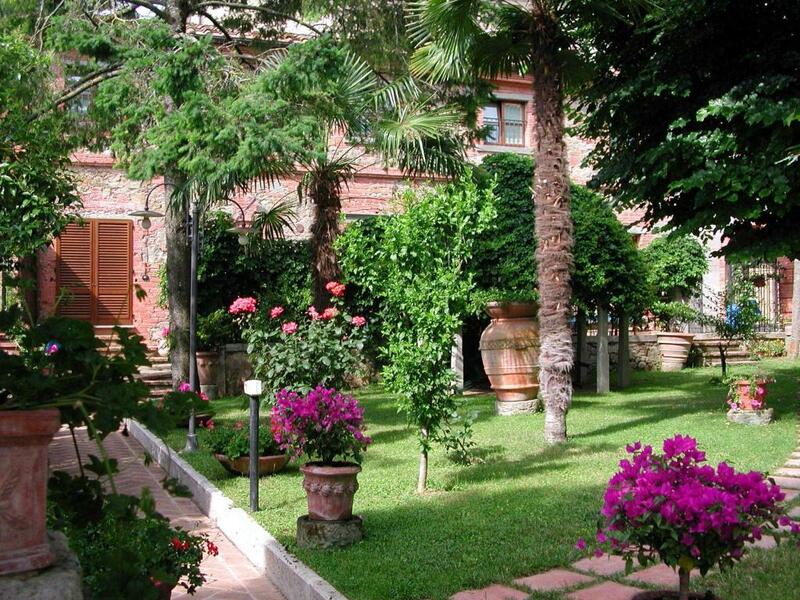 Located on a hilltop, the Castagno is surrounded by a park overlooking the Valdichiana valley. 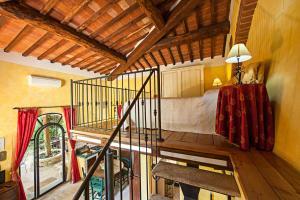 It is set in Sinalunga’s historic center and offers a swimming pool and free internet. Rooms at the Fonte Del Castagno come with a private entrance and private bathroom and overlook the valley or Cortona. 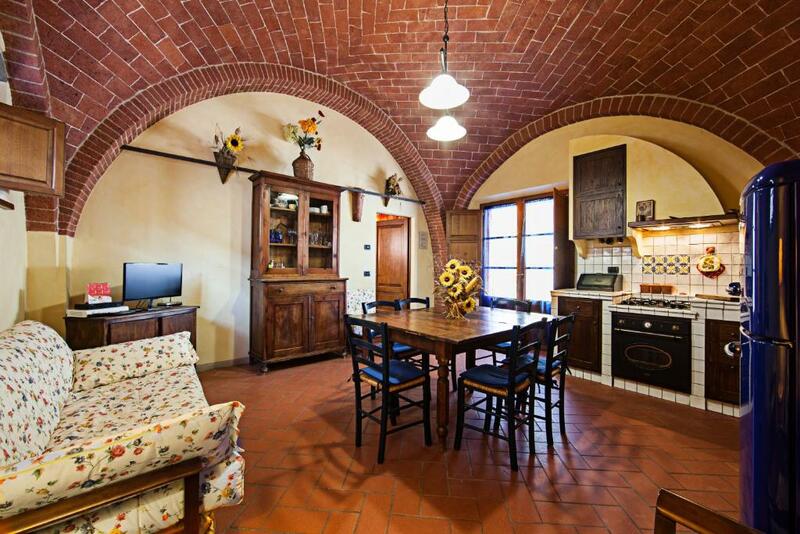 The apartments, with original wood-beamed ceilings and brick arches, feature satellite TV channels, a fully fitted kitchen, and garden. Rooms and apartments have free Wi-Fi. 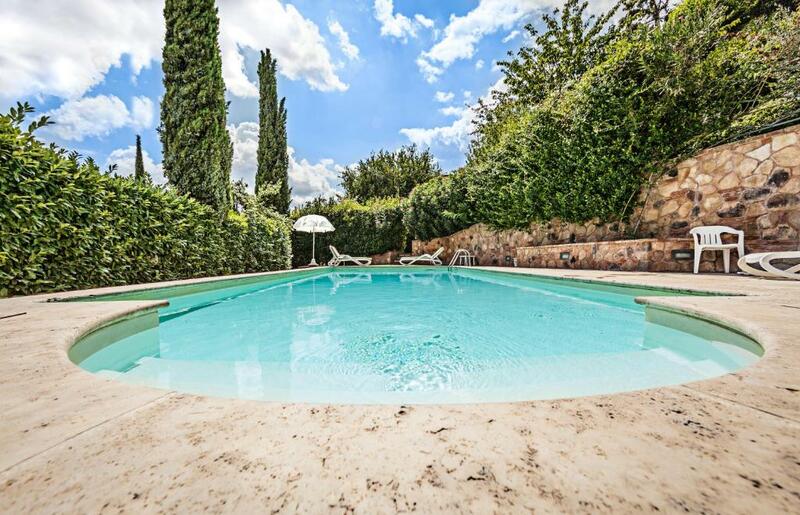 The property is set in its own private garden, where guests can relax after a day visiting Montepulciano, 12 mi away, or Siena, a 30-minute drive away. Parking on-site is free. When would you like to stay at Fonte Del Castagno? Air-conditioned studio on 2 floors with views of the Chiana Valley and Cortona. With free Wi-Fi, furnished patio, and a bathroom with shower. The living/dining room with sofa bed and kitchenette is on ground floor. The bedroom is on the mezzanine. Spacious room with garden views, cooling fan and vaulted ceilings. It has a private bathroom and a patio. On the 1st floor, with spacious living/dining room featuring a bathroom, kitchenette, fireplace and single bed. 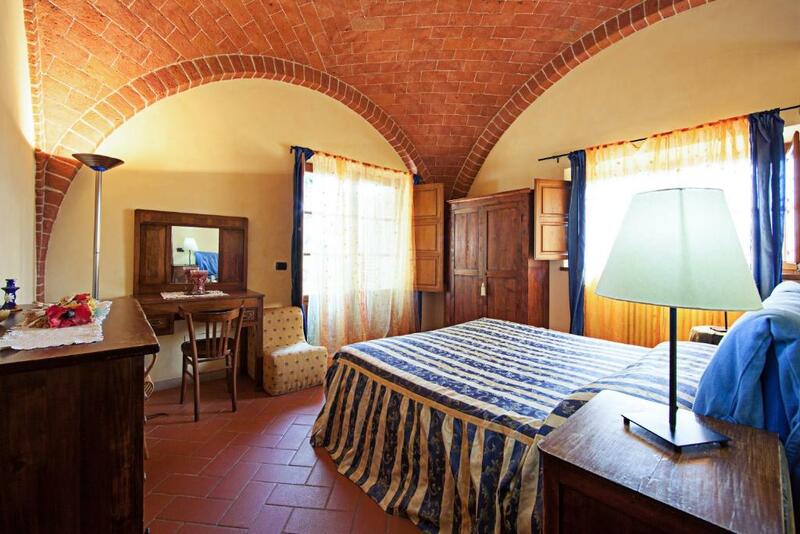 It has a double sofa bed, a cooling fan and views of the Chiana Valley and Cortona. This spacious room features garden views, a TV and a private bathroom complete with a shower. This apartment features a sofa, electric kettle and dishwasher. 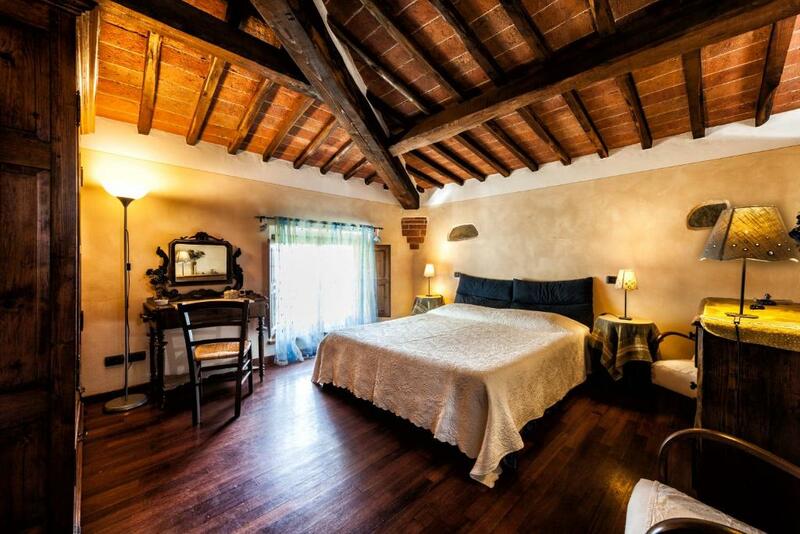 Our three picturesque apartments are the result of the clever restoration of old stables of a historic, noble palace, placed beside the Fonte del Castagno, the old village fountain built in 1265. My name is Roberto and I really like my job. My guests are my friends and so I try to give them all the information on our beautiful land. I hope to meet many people. 'Ciao' ... and see you soon ! Fonte del Castagno is the ideal sojourn in the heart of one of the most fascinating area of art, culture and landscape.Nearby you can visit beautiful towns such a Siena, Montepulciano, Pienza, Cortona, Montalcino, Arezzo, Firenze, Perugia and Assisi. House Rules Fonte Del Castagno takes special requests – add in the next step! Fonte Del Castagno accepts these cards and reserves the right to temporarily hold an amount prior to arrival. The swimming pool is open from 14 May to 24 September.